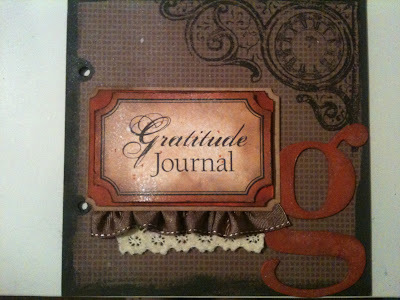 What an awesome start to your gratitude book. It looks great ! I love the what you did with the tag and how you pleated the ribbon then tucked some lace underneath. It has been ages since I made a mini book. Are you doing December Daily this year missey? Ack !!! I forgot to say…..you will be really happy with the Silhouette. The ability to cut so many file types is awesome & I love the print n’ cut function. It cuts like butta’.